Somewhat distinct from but quite similar to Anatolian Alevism is a religious order or sect (tarikat) called the Bektashis, named after Haji Bektash (Hünkâr Hacı Bektaş Veli ), who lived in the 13th century. There have historically been two groups of Bektashis. One, called the Çelebis, claimed that they were direct physical descendants of Haji Bektash ( bel evladı ). A larger group of Bektashis, called the Dedes or Dedebabas, claimed that Haji Bektash had no natural sons but only had spiritual disciples ( yol evladı ). Bektashis are found throughout Anatolia and the Balkans, particularly in Albania. 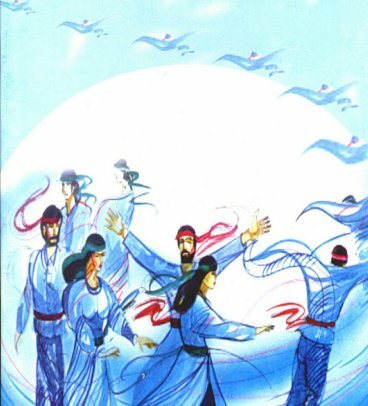 <span>To show that modern Alevi and Bektashi groups have much more in common than they have differences, Alevis will often talk about “Alevi-Bektashi culture” (kültür) “Alevi-Bektashi faith” (inanç), or “Alevi-Bektashi philosophy” (felsefe). Many describe the differences between the groups with these statements: “There is no difference in path, just in practices” ( Yol farkı yok, sürek farkı var ) and “The way is one, the form a thousand and one” (Yol bir, sürek bin bir). “Take responsibility for your words, actions, and morals. “”“Take responsibility for your words, actions, and morals. Bu iki cümle cok degisik seyleri ifade ediyorlar.